Spanish Red wine produced from the Tempranillo grape is never my first choice, preferring Malbec or Shiraz varieties in wines from Argentina as a rule. Nevertheless, when it comes to Spanish wines my first choice will always be from the Rioja region. At the moment I particularly like a ‘Vina Del Cura‘ a Rioja from the award winning Baron de Ley winery (see featured image above). A lovely wine and is suitable for vegans. I buy this wine regularly from Tesco. 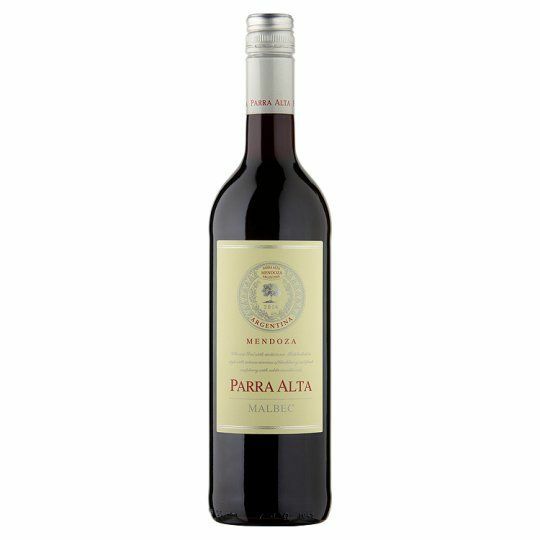 Quote: ‘Parra Alta is a traditional way to grow grapes, where the vines are tied to grow upwards through the canopy of the surrounding trees’ I came across this Malbec Argentinian wine recently (pictured above), it is a vibrant wine in many ways and is competitively priced. Casillero del Diablo (CdD) – Malbec (Pictured below) is an exceptional red wine. It is well balanced: it’s full bodied though it is both fruity and smooth. In comparison with other wines from the same producer this Malbec version wine is lighter and is a ‘fresher’ drink than the CdD Merlot, and has less after taste than their CdD Cabenet Sauvignon, though, when it comes to similar taste and matched quality, the CdD Shiraz is on an equal par with it. How and When I drink Red Wine : I drink a glass of red wine when cooking and preparing a meal, rather than serving with food, and I’d never choose to drink red wine with dessert unless I’ve opted for cheese and biscuits.